Not seen on many traveller’s list until recently, Seoul has been rated as one of the best cities to live in, and it has everything one can ask for. The capital of South Korea, it is the largest city in the country. It has an excellent public transport system, the roads are lined up with restaurants and cafes and there is kid and disabled-friendly access to most places. Seoul has witnessed a long history of different Korean dynasties and was also invaded by the Japanese forces. We spent a weekend in this vibrant city and tried to capture its pulse by visiting some of the popular and unmissable sights. 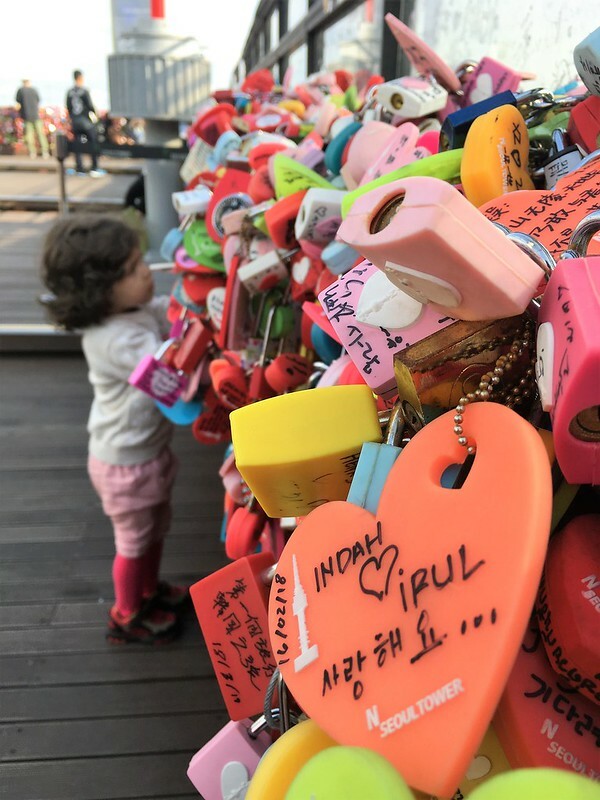 Though I would recommend you spend more than just couple of days in Seoul, if you are time-bound like we were, check-out the below places. 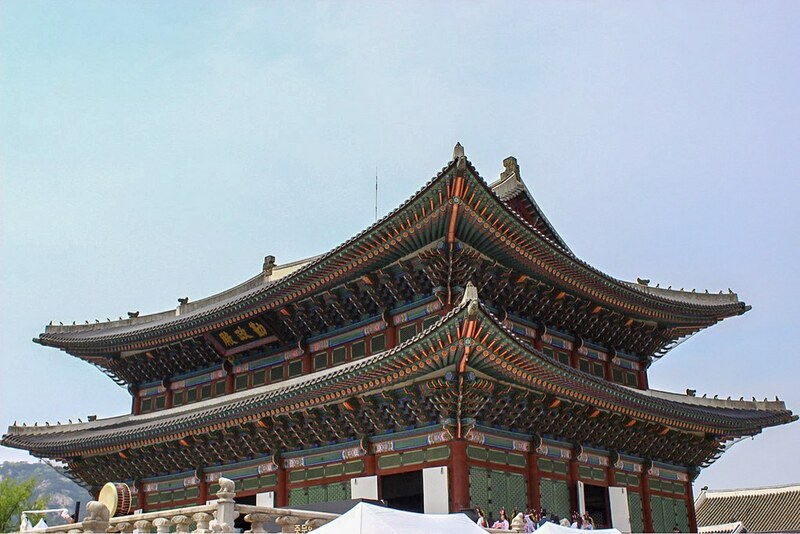 Seoul has five palaces, all close to each other and the Gyeonbokgung Palace is the largest and grandest of all. 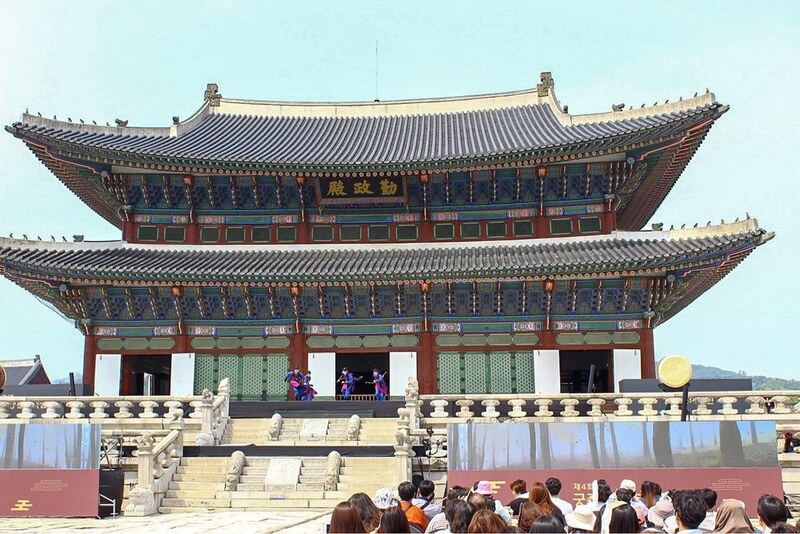 The main royal palace of the Joseon Dynasty, the home for the kings, it was destroyed in a fire during a war. The palace was rebuilt much later only to be destroyed by the attacking Japanese forces. Restoration work was taken up post-war and the entire palace complex has been rebuilt to its original form. 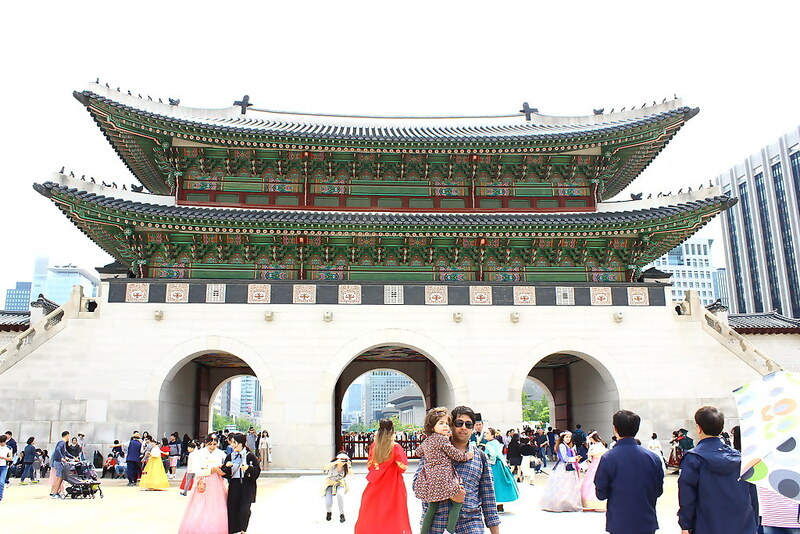 As you enter from the main gate called the Gwanghwamun, guards in traditional Korean attire keep an eye on you. The ‘change of the guard’ ceremony takes place at the main gate every hour and is a sight to watch. Strolling through the palace complex took us more than an hour and we hadn’t even seen the entire complex! Divided in different parts, the palace built in Korean style, houses traditional paintings and artifacts of the bygone era. The national war memorial depicts the entire military history of Korea. The exhibits showcase the earlier dynasties that ruled, the Japanese invasion, the North-South divide and the allied forces that took part in the wars. A dazzling display using scale models gives us an idea of the strategies that were used in the war zone. The memorial doubles up as a museum and has artifacts from the yesteryear and different war zones. An entire passageway is filled with the names of soldiers from different countries who fought in the wars and laid down their lives. India too gets a mention. The memorial is a treat for history and war buffs and it takes approximately two hours to visit all the exhibits. 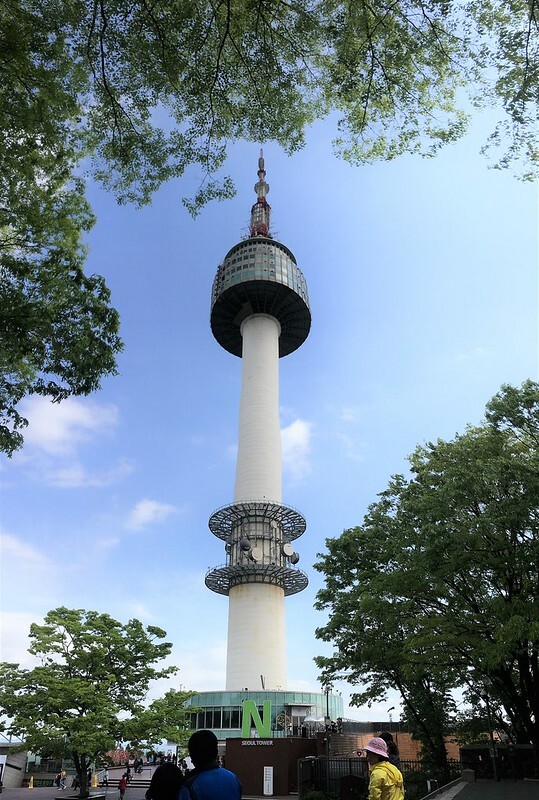 The Namsan Seoul Tower, located on the Namsan mountain is primarily a communication and observation tower. Turned into a tourist attraction, the tower provides stunning panoramic views of the city below. The tower is visible from almost every locality of Seoul. One can either climb up the mountain or take a ride in the cable car. There is an option of one-way and return tickets for the cable car. Once above, one can roam around the mountain and soak in the breath-taking views. There are restaurants and shops located in the premises. 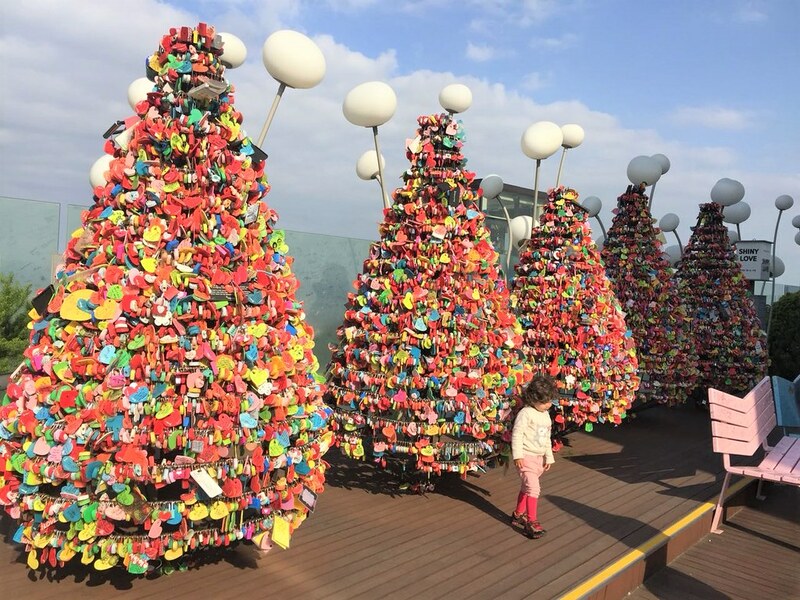 Considered as one of the most romantic spots in Seoul, people bring padlocks to find love and express it. There are thousands of them in almost every corner which makes for a pretty picture. There is an entrance ticket to go up the observation deck which is on the 90th floor. The views from above are obviously mesmerising. There are multi-cuisine as well as Korean restaurants inside the tower. Evenings make a beautiful sight with the city down below being lit up. If you are a book nerd, we suggest you don’t miss out on the Starfield Library. It’s not a tourist spot but it will leave you in awe. Located in Coex shopping complex in the snazzy Gangnam area, the library boasts of more than 50,000 books! 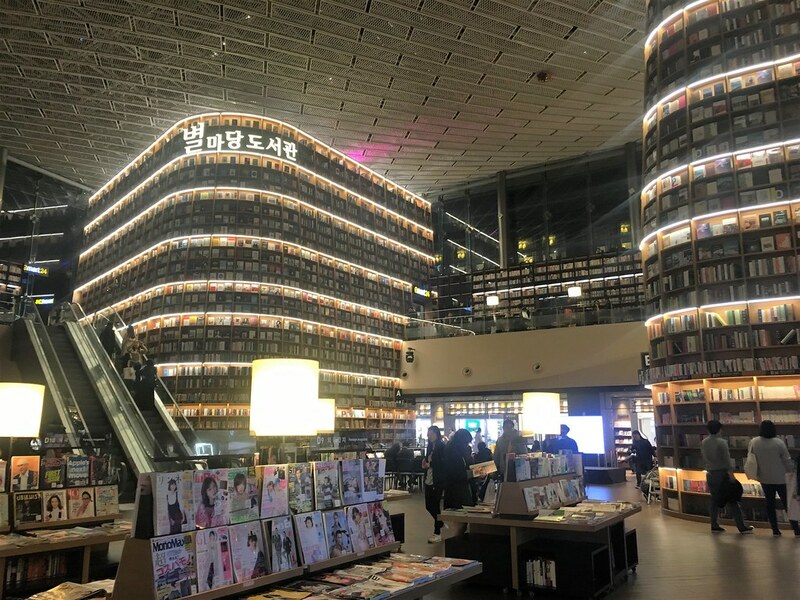 The two-floored centre has escalators and 99.9 per cent of the books are in Korean. You might have to hunt a little for English books but the entire ambience is just fabulous. And what’s surprising is that the library has no doors! You won’t even know when you have walked into it. 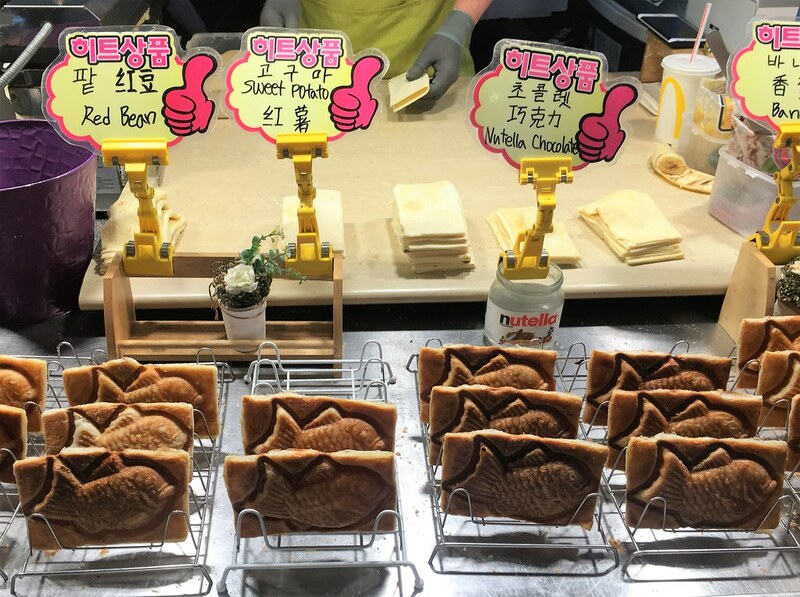 Seoul has many local, traditional markets. 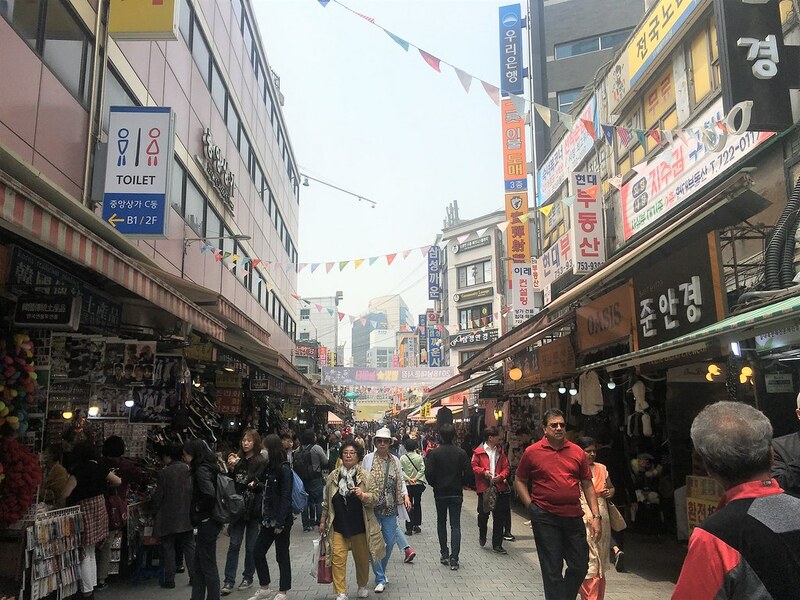 One of the oldest markets is Namdaemun. 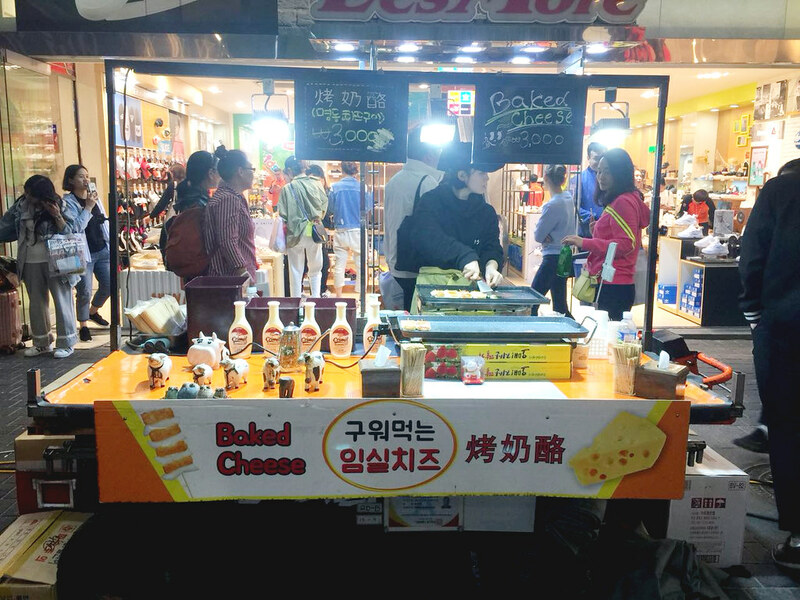 A centrally located one, Namdaemun caters to every category and budget of shoppers. From household goods to souvenirs and electronic goods, it has everything. The market is like a labyrinth and it is easy to get lost. There are a number of gates to it so remember the one which you enter from. It is one of the best places to buy souvenirs and locally-made goods and we got a lot of them! 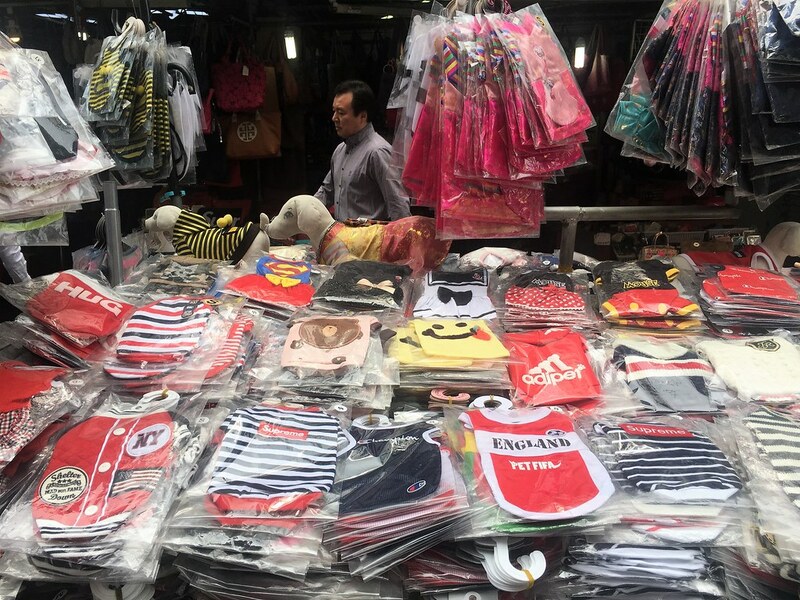 Myengdong, on the other hand, is a busy shopping destination for young and brand-conscious crowd. A lot of local and international brands are present here. There is music playing and people casually dancing on the street and the atmosphere in the evening is just eclectic. There are dozens of restaurants and street food vendors and they are all hygienic. There is a lot of vegetarian street-food too, so spending an evening gorging on them should not be a problem for vegetarians. We spent an entire evening enjoying the food and the revelry and it is highly recommended. Reach: There are direct flights from Mumbai/Delhi to Seoul. Stay: Seoul is huge and you will find many options depending on your budget. The Itaewon area is where most international visitors stay. 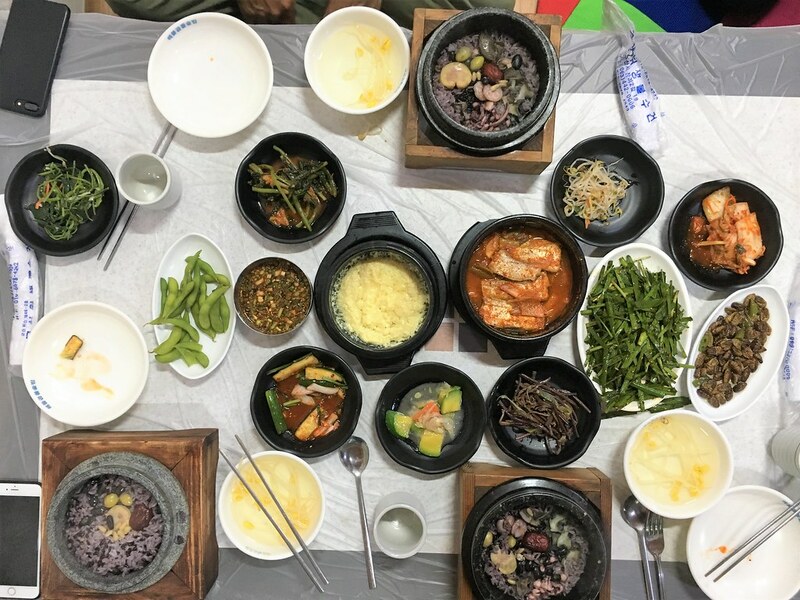 Eat: Korean food is not bland. It has tons of flavours and exotic (for us) ingredients. Honestly, it is difficult to find food if you are a vegetarian but not impossible. Must eat is the traditional Bibimbap and Ramen. Remember: Communication might be a problem as not all Koreans are well-versed in English. Use of translation apps will help. Don’t depend on Google Maps as it does not work in South Korea effectively. Posted in Asia, Travel GuidesTagged asia, korea, seoul guide, south korea, south korea guide, Travel, Travel Guide, travelling, tugging my luggage, tugging the luggage, what to do in seoul, what to see in seoulBookmark the permalink. Wonderfully written with amazing pics! Unfortunate you couldn’t spend more time in the city! There is just so much to explore! You made the most of a weekend though! Probably ate more Korean food in a few days than I did in a few months! Working is so different from traveling in the city. Yes, I wanted to spend some more time. I loved Korean food. Bibimbap is such soul food. True about working and travelling.